Testate versus intestate. It's a big deal to die without a will. That would make you intestate. Testate versus Intestate. What’s the difference? Testate means that a person dies with a valid Will in place. 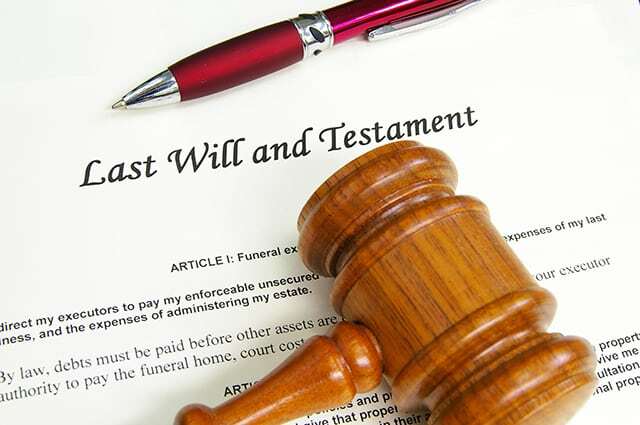 Intestate means that the person died without a Will. Not a big deal unless you want the state to decide who gets what. Not a big deal if you want your family to end up with less. If you want to erode the value of your estate and leave as little as possible to your family then dying intestate is the perfect solution. However, if you want to protect your estate then you will want to leave a valid Will. After you move on to the after-life you will have a better chance to “rest in peace” if you are are testate. Here’s why. Awell thought out and valid Will makes things more clear than left undone. should the estate go to probate court there will be time spent figuring out where the money goes. While all of the figuring is going on the clock is still ticking. Have you heard the song “Time Waits for No-One” by the Rolling Stones? It’s a great reminder that the world keeps moving no matter what. As the days pile up so do the bills. Mortgages, car payments, utility bills, medical bills, you name it. They keep on coming until someone pays them. If you could save time you would literally save money while in probate. Likewise, if more time is added to the probate, more monthly bills will accumulate. Conclusion: it is better to die testate than intestate. If you don’t have a plan for your estate you might want to sit down with a competent estate planning attorney and get things in order. If you could be a fly on the wall when your family is dealing with your estate you’d be smiling down on them all the more. They would be in a much better position because you were testate and left them with a Will. Building an understanding of probate can be jump started by knowing these terms. You will have a more valuable conversation with family members and attorneys when discussing the topic if you have a general grasp of these meanings. Testate versus Intestate is one good example. You understand these important concepts. Feel free to access our full glossary of probate terms here.